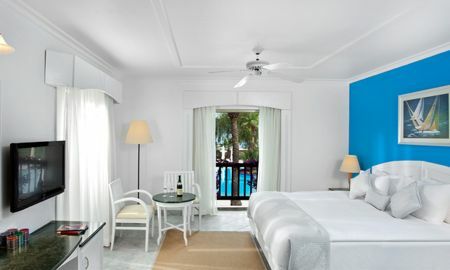 The Divan Bodrum Hotel is an oasis of casual luxury and serious serenity, a boutique hotel in one of the most exclusive corners of paradise that was named "the Most Excellent Charming Hotel of Europe and the Mediterranean" by Condé Nast. 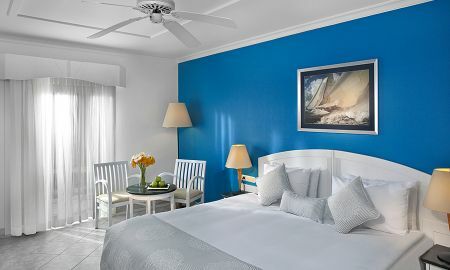 This exceptional distinction reflects the hotel's uniquely personal approach to guest comfort and satisfaction and its flawless combination of luxury and simplicity that allows guests to both get away from it all and have it all. Luxuriate on the private boardwalk, lapped by gentle waves or relax by the pool sipping a perfectly mixed cocktail with nothing more on your mind than which of our talented chef's tempting creations to enjoy for dinner. This luxury Bodrum hotel is also an ideal base for exploring the historic wonders of the Bodrum peninsula including the ancient Carian city of Iassos, the Mausoleum, the Castle of Saint Peter and more. Dining at Divan Bodrum is equally spectacular, the best of Aegean and Mediterranean cuisine lovingly prepared by the hotel's talented chefs using only the freshest local produce, fresh-caught seafood and fine cuts of meat to create a unique culinary experience. 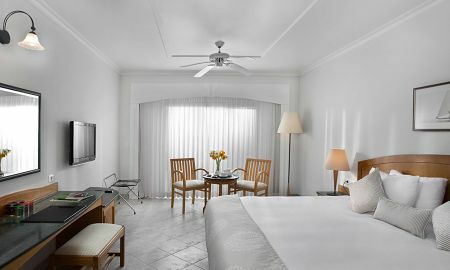 Its combination of discreetly attentive service and understated luxury make Divan Bodrum an ideal destination when you want to pamper yourself for a weekend getaway or for board-level retreats and executive incentives. The Divan Bodrum Hotel in Bodrum, named 'the Most Excellent Charming Hotel of Europe and the Mediterranean' by Condé Nast, is located in one of the most exclusive corners of paradise, Göltürkbükü on the Bodrum peninsula where the Aegean meets the Mediterranean. Less than half an hour from Milas-Bodrum Airport, the Divan Bodrum is just 10 minutes from the Bodrum city centre, offering easy access to shopping, nightlife and, of course, the Bodrum Marina.